Anne and I would begin our walking tour of Singapore by visiting Singapore's Chinatown. It seems strange that a city whose population is over 70% Chinese would have a district called Chinatown. This dates to the early British settlement when the Chinese immigrants were a minority. Raffles, to keep racial tensions minimized, divided the city into districts based on ethnic groups. 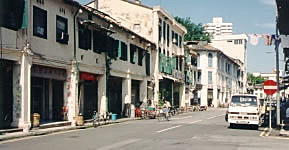 Chinatown was allotted the area south of the Singapore River. Three years after Singapore was settled Chinatown had 3,000 inhabitants, most of them penniless and half starving immigrants from mainland China. 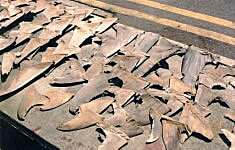 Over the next decade their numbers would grow to exceed 30,000. The living conditions must have been horrid. Chinatown was a relatively small area for such numbers of people. Slophouses, two-story buildings with shops or small factories on the ground floor and living quarters upstairs, were common. Often twenty to thirty lived in a single room. The British did not provide police protection in Chinatown. This was the responsibility of the Chinese guilds, or clan associations, to oversee their own law and order. 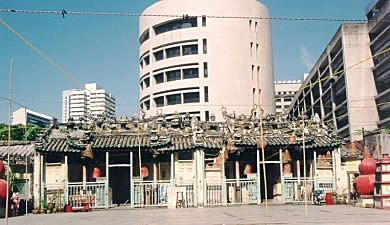 Until recent times Singapore's Chinatown was slated for demolition. However the government, recognizing the people's desires and the historical importance of the area, canceled plans to raze Chinatown and are now in the midst of reconstruction. The best way to see and enjoy Singapore's Chinatown is to walk its streets, but first we had to get from the hotel to Chinatown. 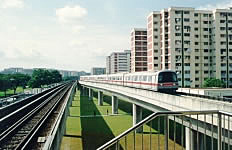 Taxi's are readily available as are buses, but the best way to travel throughout Singapore is by using its subway system, the MRT. Singapore's MRT was wonderful. Being a seasoned subway traveler forced to take subways in New York City from time to time I appreciated Singapore's subways. As you can see by the photo at right the cars were spotless. Not a single piece of newspaper laying anywhere about. 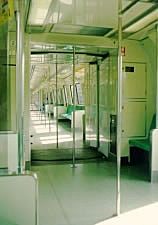 Underground stations were all air-conditioned and the fares were inexpensive. New York could certainly learn something from Singapore about subway service and cleanliness. Chinatown, in the early 1800's, was the site of many brothels and opium dens. The building (right) with its bright red awnings and portico is said to have been a famous brothel during Singapore's colonial period. Brothels and opium dens were common throughout Chinatown and were important. Those that frequented them were Chinese immigrants who came to Singapore alone and worked long hours with little time for rest and relaxation. The brothels and opium dens provided them some diversion from these horrible conditions. The Wak Hai Cheng Bio Temple was very interesting. First it dramatically showed the coexistence between the old and the new with modern buildings located immediately behind it. 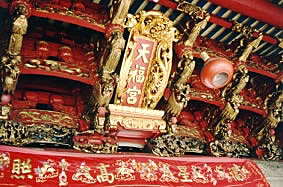 Second, the roof ornaments were elaborately carved and painted. Built between 1852 and 1855 by the Teochew Chinese the temple is dedicated to the goddess of the sea. Inside the temple were altars where the faithful, who had purchased paper models of the necessities of life (money, cars, airplanes, horses, boats, etc.) could ritually burn them as offerings to departed loved ones. It is believed that their essence, represented by the flames and smoke, passed through to the spirit world for their loved ones to enjoy. 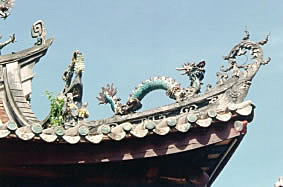 The roof of the Wak Hai Cheng Bio Temple was beautifully and elaborately carved with various serpent and human figures. We would learn that this was common throughout Singapore and not only to the Chinese temples in Chinatown. 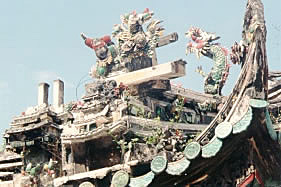 Many of the temples had wonderfully elaborate decorations on their roofs as well. The Thian Hock Keng Temple, "Temple of Heavenly Happiness," was completed in 1841 is one of Singapore's oldest and largest temples. Before Singapore's land reclamation project the temple stood on the shore at the point where the Chinese immigrants first stepped on land after crossing the perilous South China Sea. The temple is dedicated to "Ma Chu Poh," the goddess of the sea. Thian Hock Keng Temple is elaborately decorated with gilded carvings and sculptures. The main temple is Taoist, but a smaller temple in the rear is Buddhist and dedicated to Kuan Yin, the goddess of mercy. Continuing our walk through Singapore's Chinatown we came upon the Sri Mariammam Temple, a Hindu temple. 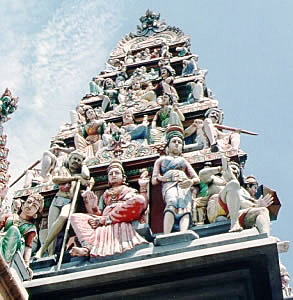 Its pagoda-like entrance is topped by one of the most ornate gopurams (pyramidal gateway towers) in all of Singapore. Hundreds of brightly painted statues of deities and mythical animals line the tiers of this towering pyramid. Glazed cement cows sit seemingly in great contentment atop the surrounding wall. 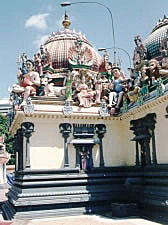 The roof of the entire temple, including the inner buildings (right), were all topped by the brightly colored figures. Truly an amazing sight. On our walk we ran into a Chinese market and enjoyed the sights and smells of the foods hanging in the open air. 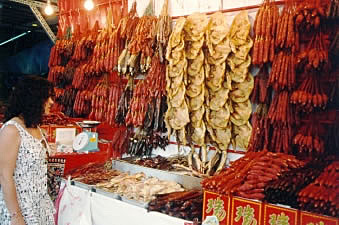 In this picture (left) Anne can be seen looking at an array of dried meats including pressed ducks (center). Naturally the aroma of the foods in the air made us a bit hungry and we stopped to enjoy a quick snack. Leaving Chinatown Anne and I headed toward Merlion Park located not far away next to Marina Bay.